You can cook meals at home even if you’re short on time with these easy recipes and kitchen know-how. Let’s face it. We’re all busy. If we’re going to make homemade meals for our family, the recipes need to be fast, cheap, and easy. 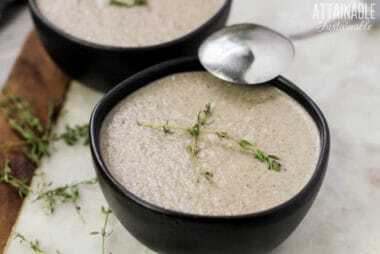 Easy recipes for homemade meals coupled with a few tricks (hello slow cooker!) can help you make the switch from takeout to homemade. You don’t need chef’s credentials to make your family and friends tasty meals from wholesome ingredients. Simple will do! Eliminate wonky ingredients. Skip the disposable packaging that comes with supermarket “cheats.” Eat well. 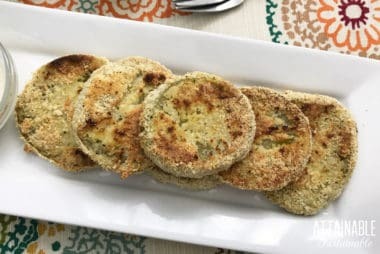 From simple and inexpensive white chicken chili (one of our go-to meals for dinner in a hurry) to herb breaded chicken, I’m here to help you learn to cook from scratch. If you want your fried red potatoes to be a bit creamy on the inside, with a crispy, crunchy, browned outside, here’s the secret & what you need to know. Comfort food in a hurry! This beef chili recipe has all the flavor you love in a chili, with the speed of fast food. 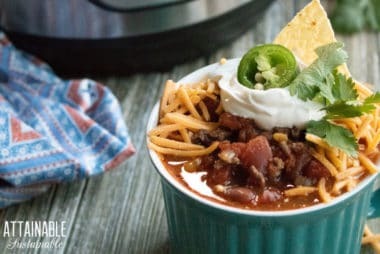 Instant Pot Chili Recipe? On the menu!